#1 – You'll receive a CAD rendering so it looks exactly like you want it to. 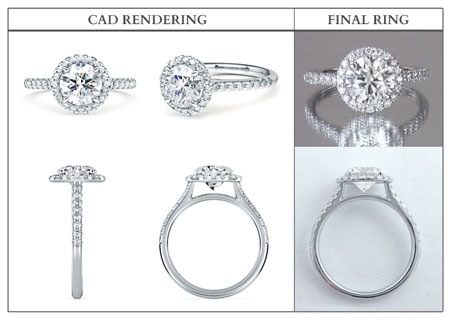 Each engagement ring is custom made to fit the budget of the client for whom it was designed, whether $500 or $100K. We always stay within your budget. Plus, we offer financing! If for some reason she doesn't like the design after you've proposed, we will re-design the ring with her involved.